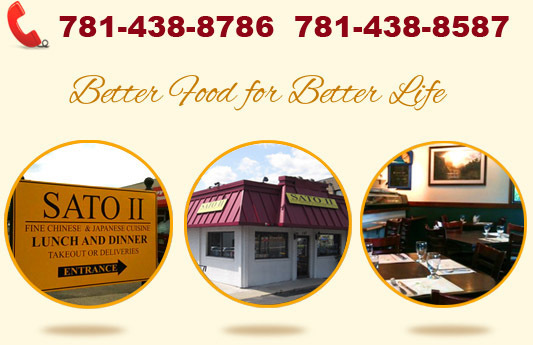 Sato 2 Stoneham | Menu & Online Order | 147 MAIN STREET, Stoneham MA | Official website! Welcome to SATO II Japanese & Chinese Cuisine. We combine the freshest ingredients from local farmers with popular Chinese and Japanese herbs and spices, to provide you with the best meal possible. Our goal is to offer high standard food and friendly service, which makes for the perfect dinning experience, so come and visit our restaurant for the best in Japanese and Chinese cuisine.